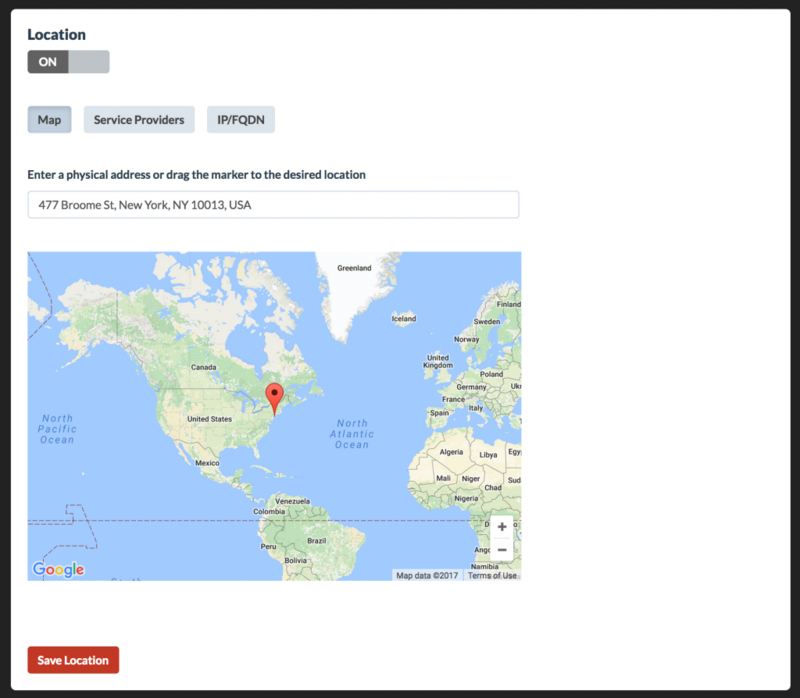 Location maps on your status page help users quickly see the current status of a region. 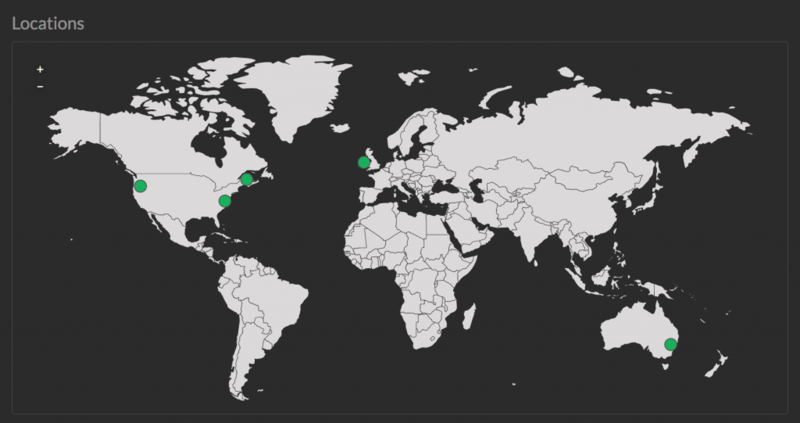 Define the geo location of a container from the Infrastructure/Containers view in the Dashboard. Then choose the address using our location lookup tools.